I like big lists and I cannot lie. Or something like that. With apologies to rapper Sir Mix-a-Lot, I really do like keeping lists, reading lists, and following lists. I’m one of those guys who will sit down with the new telephone book – a really big list – and go through it to see how many names I recognize. But I especially use lists. Lists, it turns out, keep me out of trouble. Every night, before I go home from work, I make a list. On it is everything that I have to do the next day. It can be something not very important like “get a haircut.” Or it can be a series of projects I’m working on. Everything goes on the list. The next morning, I review the list and set priorities, starting with those that have to be done first. If it looks like other projects and activities are going to take up the day, that haircut may have to wait. More importantly, I don’t have to worry about forgetting something. All of the important things are on the list, so I can concentrate on what I’m doing and not worry about the other stuff. But the good part is when I finish a project or activity. I get to cross it off the list. That’s the payoff. Psychologists who analyzed what happens to the human brain when a task is crossed off a list found that you get a small dose of dopamine, a chemical that makes you feel good. I’ll admit it: I’m a dopamine fiend. I used to just wing it. I kept a mental checklist of things that needed to be done and when. The problem with that was the list grew exponentially. I not only would be thinking about what I had to do today, but tomorrow, next week, next year and beyond. I’d get bummed out just thinking about everything I had to do. With a daily list, everything is reduced to individual, manageable tasks. Other things I have to do later are temporarily shoved aside so I can concentrate on the single job at hand. I sometimes wish that other folks would make lists, too. Just think, if members of Congress would make a list of things to do – Item No. 1: Balance the federal budget – maybe they would make some progress. I’m not exaggerating. I wrote an editorial for a daily newspaper in 1980 poking fun at members of Congress who wanted to balance the budget. Since then, the budget has been balanced two or three years, in the 1990s. This year, the budget was $779 billion in the red with no hope of stanching the red ink in sight. A list may not help in the case of Congress, whose members seem to operate in a parallel universe. But it wouldn’t hurt. 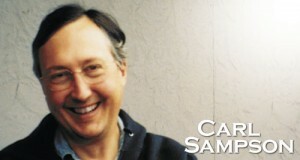 Carl Sampson is a freelance writer and editor.